You are here: Home / Celebrity Events / R5 Peforms At 102.7 KIIS FM’s Wango Tango – Watch The Full Set Here! R5 Peforms At 102.7 KIIS FM’s Wango Tango – Watch The Full Set Here! 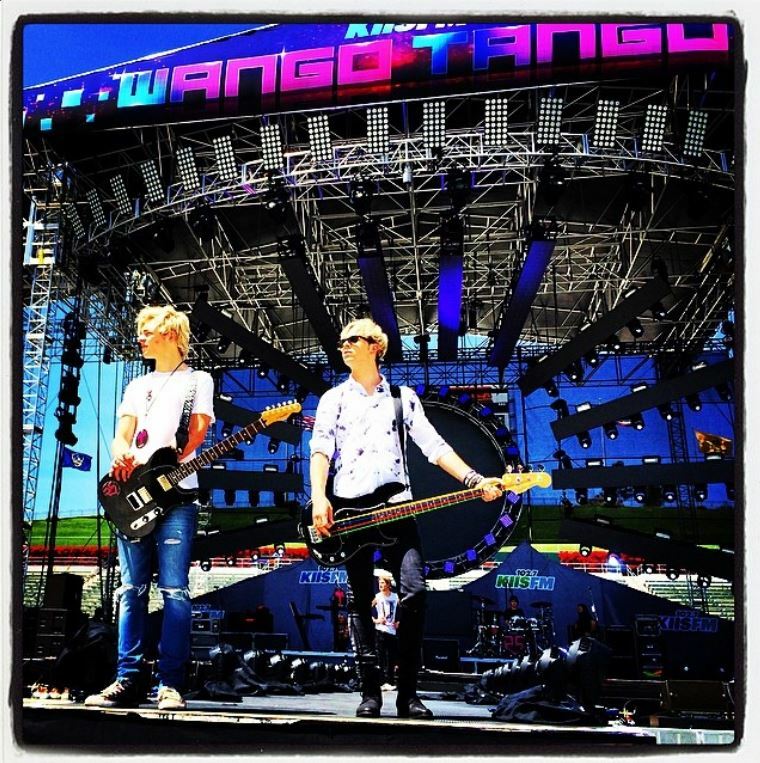 Ross Lynch performed with his band, R5 – Rocky, Rydel, Riker and Ratliff – when they attended 102.7 KIIS FM’s 2014 Wango Tango on Satuday, May 10, 2014 held at the StubHub Center in California. R5 made the crowd go wild with numerous performances including their latest hit single, “I Can’t Forget About You.” Be sure to check out their full set of performances by watching the video below and let us know what you think by commenting! « Win VIP Tickets To See Aaron In Canada!